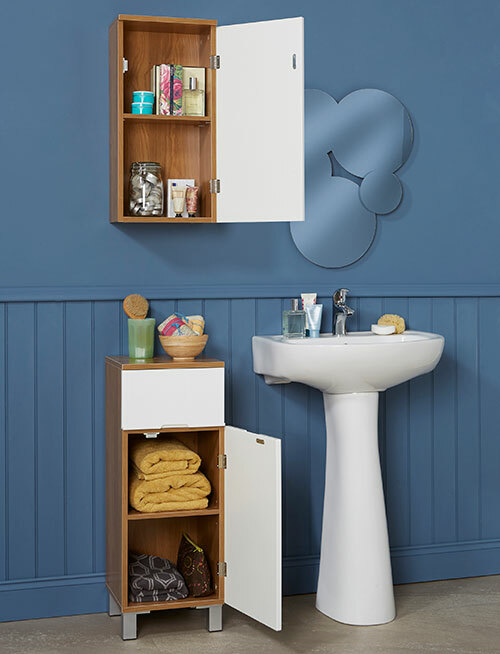 We're now offering our oak effect and white gloss bathroom storage cabinets complete as a set of 2 to save you shopping time and money. 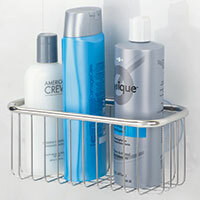 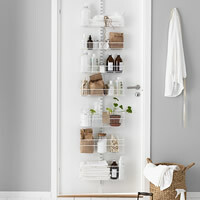 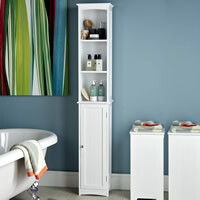 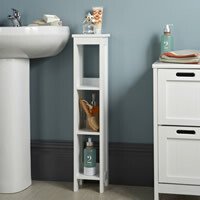 The wall mounted cabinet has space inside for the whole families toothbrushes, toiletries, lotions, and potions and has a useful internal shelf. 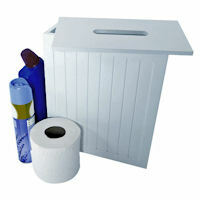 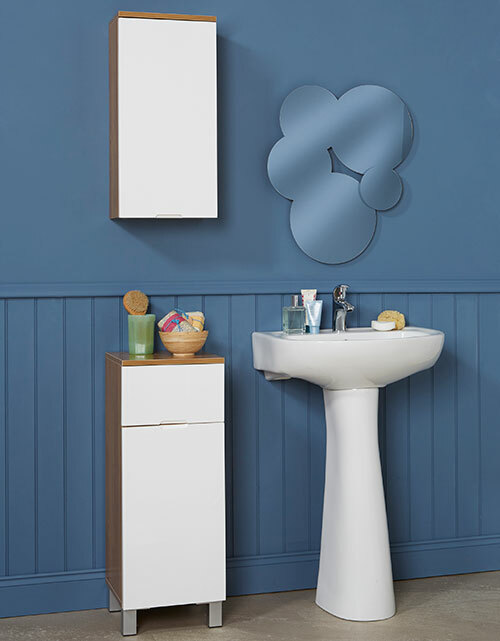 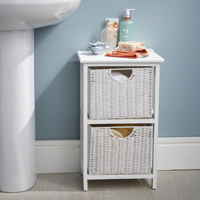 The floor-standing cabinet has a small footprint making it ideal for use where space is at a premium and the cupboard and drawer offers the perfect place to store spare loo rolls, cleaning products etc.